An incorrect and farfetched appreciation thus landed India into occupation of Siachen Glacier or more correctly Saltoro Ridge in April 1984. It was realised only later that no large scale military operations can be carried out by either side across Saltoro Ridge and Siachen Glacier. This bleeding ulcer has cost us nearly 20,000 casualties in over twenty years and an estimated daily expenditure of two crores. Lt Gen ML Chibber, who was Northern Army Commander at the time of occupation of Siachen, realized, but alas much later that occupation of Saltoro was a mistake. Saltoro Ridge occupation is staking our claim beyond NJ 9842 in the event of an eventual settlement along the Line of Control and the Actual Ground Position Line. Let us remember that possession is nine-tenths of the law. India has always claimed that the entire state of J&K including Northern Areas acceded to India on 26 Oct 1947. Occupation of Saltoro is therefore occupation of Indian territory by the Indian Army. It is non-negotiable. 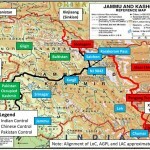 If the line joining NJ 9842 to Indira Col i.e, the line along Saltoro Ridge is extended to Indo – Tibet boundary, major part of Saksgam Valley illegally ceded to China by Pakistan in 1963 will fall into Indian Kashmir. Chinese will therefore have to negotiate with India for settlement of Saksgam valley since they have steadfastly maintained that status of Saksgam Valley will be decided on eventual settlement of J&K problem. It needs to be remembered that the origin of Siachen dispute lies in the fact that both the Karachi Agreement of 1949 and the Shimla Agreement of 1972 have left the status of Indo-Pak boundary vague North of Pt NJ 9842. While the Karachi Agreement says “From Pt NJ 9842, the ceasefire line will run Northwards to the Glaciers”, Shimla Agreement does not even make a mention of it. This is inexcusable. If the alignment of Line of control just prior to NJ 9842 is extended, it will run in a North Easterly direction to Karakoram Pass. India has altered the status of line of control by its occupation of Saltoro Ridge. 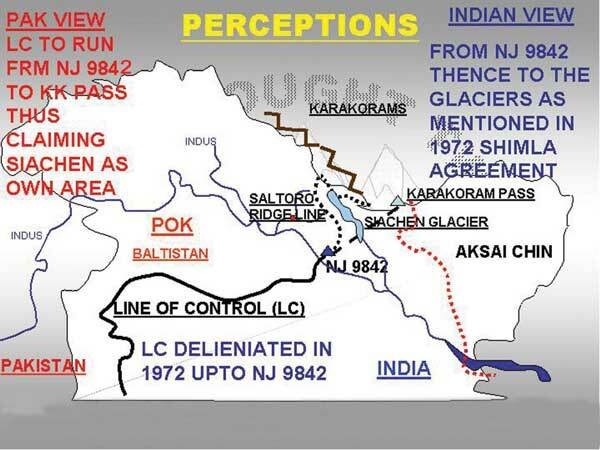 Since the alignment of Line of Control just prior to NJ 9842 was altered by Pak by its occupation of Gyong Glacier in 1984, Pak argument of Line of control extending North Eastwards to Karakoram Pass is not tenable. Since the Line of Control does not extend beyond NJ 9842, Pak argument that India has altered the status of Line of Control by occupation of Saltoro Ridge is not valid either. Despite there being a wide chasm in the two view points, efforts have constantly been made since late eighties till date for demilitarization of Siachen. Talks have been unsuccessful due to divergent stands of India and Pakistan on the modus operandi of demilitarization. Cartographic aggression by Pak must cease. Many Pak Atlases show Siachen as part of Pakistan. India agrees to establishment of a demilitarized zone in Siachen. However before the modalities begin, exchange of maps in which deployment of troops on Actual Ground Position Line is marked, must be exchanged. Ground rules to govern future military operations in this area must be formed. Redeployment of forces to mutually agreed position should thereafter take place. Forces should be redeployed to position at the time of ceasefire after 1971 war thus de facto asking India to vacate Siachen. Demilitarization of extension of Line of Control beyond NJ 9842 as per the immediate previous alignment, hence Actual Ground Position Line to go to Karakoram Pass. Pak does not agree to marking of present AGPL and troops deployment and thereafter exchange of maps. Obviously its intentions are not honourable. In matters of national security, neither expenditure nor casualties matter. There appears to be a mistaken belief that in order to make Siachen a peace park or mountain of peace as our Prime Minister has called, an agreement with Pak is necessary. This is not so. 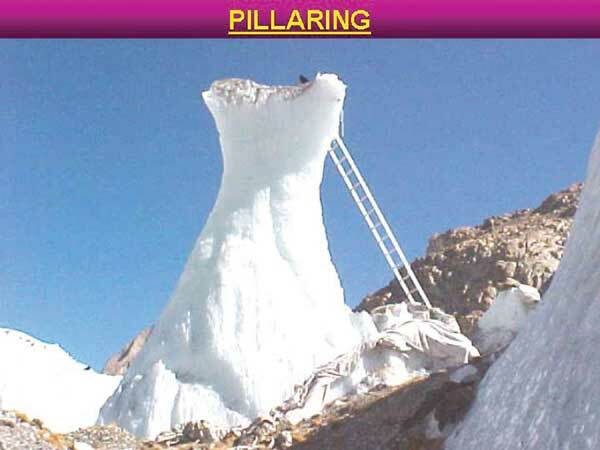 While ceasefire is in place, we need to take various measures to clean up our side of Siachen Glacier and improve ecology and environment besides effecting considerable savings. The biggest problem is disposal of human waste. Due to sub zero temperatures, human waste is not biodegradable. In this context DRDO is experimenting with micro-organisms which degrade human waste. However, above a certain height, even micro-organisms do not survive. It is hoped that technology will take care of this problem sooner than later. 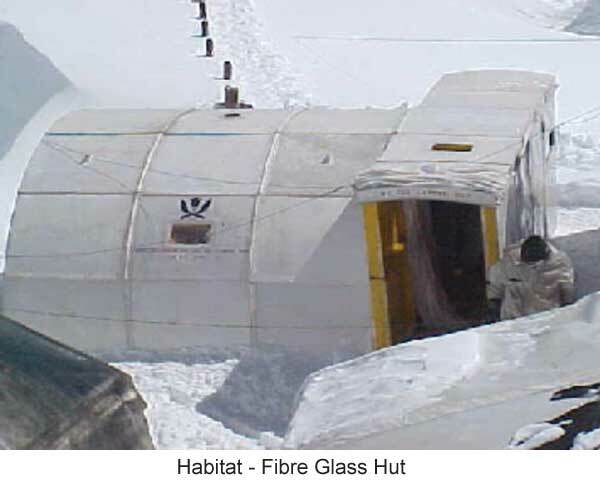 Another major problem encountered is that once rations, weapons, ammunition and other stores are inducted into the Glacier, by helicopters or by parachutes from fixed wing aircrafts, there is no system in place whereby retrieval of used products from the Glacier is carried out. All commanders need to concentrate on this aspect. It is estimated that if 70% of the packing material is retrieved from the Glacier, it will effect an yearly saving of nearly 30 crores. The author when he was commanding 3 Infantry Division had made a modest start and retrieval of parachutes alone effected an annual saving of Rs 8 crores. The present levels of stocks of both ammunition and rations at the posts is too high. With ceasefire in place and the resumption of hostilities unlikely, stock levels need to be reduced. This step will also effect major savings. Forward Winter Stocking policy also needs to be reviewed in this context. In order to reduce the number of jerricans being inducted into the Glacier, kerosene pipeline needs to be established to most of the posts. This will also reduce considerable flying effort by helicopters resulting in savings as also the Glacier not getting cluttered up with jerricans. In addition, to reduce dependence on helicopters and fixed wing aircrafts, aerial rope ways option needs to be explored. It is obvious that there is no meeting ground between the Indian and Pakistani view points and situation will perhaps remain as it is in the foreseeable future. This should not perturb us. 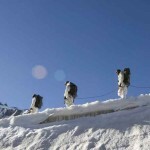 Siachen must be seen in the overall context of solution of J&K problem. It is a part of India and we need not be defensive about it. 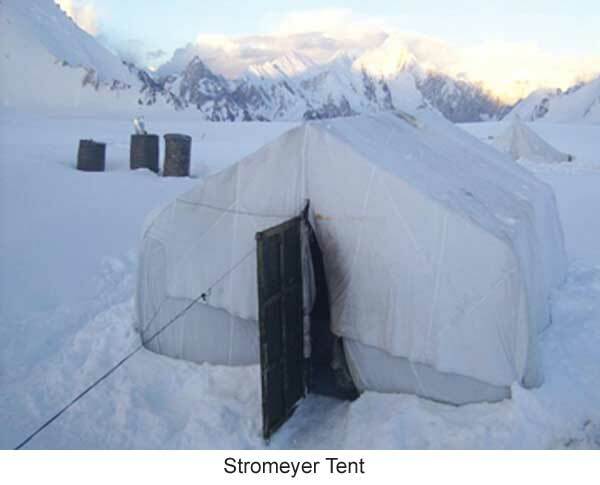 Many armchair strategists who have never set foot in Siachen are very fond of quoting the figure of Rs two crores daily expenditure and weather casualty figures as reason enough to demilitarize Siachen. The cornerstone of any demilitarization is marking of troops deployment and Actual Ground Position Line and exchange of maps and we must not get distracted by dilatory tactics of Pakistan. In matters of national security, neither expenditure nor casualties matter. Withdrawal from Siachen – a manifestation of Prithviraj Chauhan syndrome! I am neither a General nor a Colonel , but of course a patriotic media person who can understand what is what . Siachen is highly strategic which every Indian should understand and for which so many valuable lives have been lost , so without having an introspection of the strategic importance of Siachen , we have to understand how the maximum facilities can be provided to the men put on duty who are below thirty and unmarried and have a fixed days of duty at that place . The facilities to armed forces across the world have gone a sea change and those are supposed to be provided to the soldiers at that point . Fuel pipeline and aerial ropeways are good ideas. Lt Gen ML Chibber should be tried for high treason and jailed. As an Army General he brings shame to the proud, patriotic and brave Indian soldiers who shed their blood in capturing the Siachen Glacier. Nehru wanted his image as statsman and angel of peace. Non alignment movement kept us nowhere as far as international politics and both superpowers did not believe us. 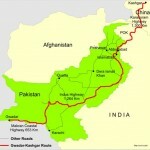 Pakistan, though lost wars won in treaties. Post 1992, we have failed to impress usa. Usa donot need us as it ned pakistan. 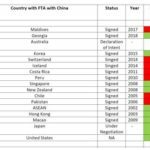 We could not use china to threaten usa. I am surprised how a General who was Northern Army Commander is giving his views that the Capture of Siachen was an ill thought out operation in 1984. If he felt so strongly could he not over rule the plan which was presented to Indira Gandhi ji who totally agreed to its occupation . Was Gen Chibber only a Commander on paper ? He also is not aware about the further plans of White Shod Operations in which troops were raised may be he had retired and does not seem to know. We thank the Indian Army who are still there otherwise we would have lost the whole of Ladakh to China who have even today made a road in AKASI Chin through Indian territory. I would strongly request retired Generals not to make comments and show their ignorance to the Public.